The Aware Observer: Captain Kirk Defeats NWO ! Well it turns out Captain Kirk figured out how to defeat Tyranny back in 1967 , non compliance. Quit playing the game, the game only works if we are willing participants. Gene Roddenberry was obviously aware of the forces at play on our little planet here and beautifully illustrated it in the episode used in the video below. 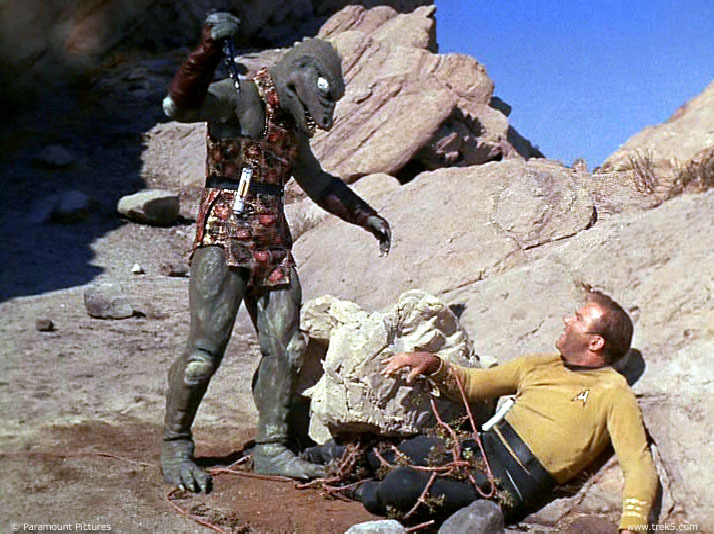 In this classic episode , Captain Kirk and his crew are used like pawns to fight the Klingons who are also being manipulated by an “Alien” presence who uses them like puppets. Both sides are pit against each other in creating hostility , violence and Fear , which the aliens feeds on. Sound Familiar ? Spock actually states in the episode that “It appears the Alien Feeds on Fear, Negative Human emotion. Another example of Art Imitating Life. I find it fascinating how we give ourselves clues about “The Game” in our media , art, music and cinema, all the time, all through out human history, we keep giving ourselves clues. It’s kinda like the “Cheat Codes” we find in our gaming environment, you know when you get stuck in a video game and you just can’t figure out how to proceed , so you go digging on line to find those cheat codes. The most basic type of cheat code is one created by the game designers themselves , ( yes that would be us )hidden within the game itself. Surprising , not really , we have left ourselves all kinds of cheats, hidden messages, and shortcuts. This is the practical application of being an “Aware Observer”. The Aware observer is operating from Higher Self , higher self is at the top of the mountain and has a much more expanded perception of reality, a much broader spectrum of vibrations or channels to perceive reality. Higher Self is the Multi Dimensional aspect of our self. Television is full of shows these days that are giving us clues about our true nature. For example the new series Touch , is all about the synchronicity that surrounds us , Awake is about parallel realities, and of course Fringe is about all of the above . Well I have to say again, universe uses everything, there is no black and white, and some of the “Programming” on Television these days seems to be bent on reprogramming so to speak. Given the burgeoning police state around the world there are dozens of Cop shows , and shows about lawyers that seem to try and drill in the notion that we all need to be good little slaves and that the average white male is the biggest threat to modern civilization, it’s so obvious its laughable. But there are also a lot of programs that seem to be exploring and expanding the imagination by leaving behind the concept of a linear reality and embracing the multi dimensional reality, or parallel universe concept. 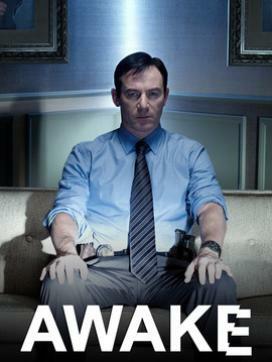 Granted the character in the new series Awake is a police detective , but the 45 minute pilot did peek my curiosity a bit . It was something that hit home with me , an experience perhaps many of us have had. The detective character in this program is consciously living 2 nearly identical lives, in both lives, he was in an automobile accident , in one reality his son dies in the accident, in the other his wife dies. He can’t distinguish one life from the other , they both seem real to him, which baffle his therapists. More and more we see this theme played out in programming these days , where there is either a parallel reality in the plot , or in some cases multiple parallel realities, think Fringe , sometimes I can’t keep track of everyone’s alternate. When watching these shows you have to quit thinking in a single linear, single reality, perspective, other wise it gets confusing , one could argue it forces the viewer to let go of linear thinking, which is a good thing, see some programming is good, as long as your conscious of it. We are multi dimensional beings, we can and do experience different versions of our life here and elsewhere , it all gets played out , and as usual , art is imitating life, we see it everywhere.